This pub isn't as nice as the Chestnut Horse further down the road, but it is more of a 'Boozer'. The staff, especially the blonde barmaid, are friendly and the locals are affable. I tried a beer called 'Green Hop' or at least I think that was what it was called!!! It was in very good condition. If you're passing its worth a visit. Very quiet village pub, where I was the only customer. This is now a Marstons pub. Two of their ales - Ringwood Best & Marstons Pedigree were on. The landlord was friendly enough. But the pub lacked atmosphere and customers. A TV was showing Sky Sports News with the afternoon football results. We visited late on a Sunday afternoon. Perfect beer, menu and ambience. A real old local, full of interesting nick- nacks and warm wood furniture. Friendly welcoming staff. 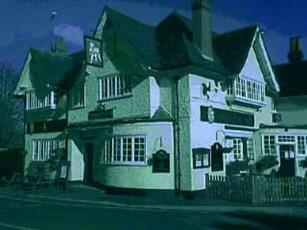 Fab authentic PUB food, a lot of home made stuff, very reasonable for this neck of the woods. Good portions and not a 'jus' in sight! A good selection of real ales, well kept. Will definitely visit again. Dog friendly too! My partner and i visited the pub a few days ago when we were out fishing. The staff were very friendly and welcoming and we stayed chatting to them for some time. After looking at the menu i chose the king prawns to start with and my partner chose the salmon and courgette salad. Both were presented brilliantly and tasted just as good. For mains i had the steak and ale pie and my partner had steak. The pie was lovely and you could see that it was home made, it was exactly what i needed! The steak was cooked to perfection as my partner is very picky with how he likes it. He was very impressed! On reflection i think the pub is definitely off to a good start, we're in the area again in a few weeks and we'll definitely be returning!